Is this going to help you survive? Reconciliation. It can be tempting when we know there is tension between us and someone else to just leave it, since we won’t be seeing them again. But St Paul writes “Live in peace with everyone, as far as it depends on you” (Romans 12:18). In other words, whether it’s your fault or not, you take responsibility for sorting it out. Take the time to restore damaged relationships, to repent and ask (and offer) forgiveness. Failure to do this can lead to a feeling that there is unfinished business which prevents us getting closure. Unresolved issues can also overshadow the development of new relationships in our destination. Affirmation. Often people want to thank us for what we’ve done and what we’ve meant to them. It may not fit our culture well and we might be embarrassed to hear people say nice things about us (let’s face it, we usually wait till the funeral to say them) but in some cultures it’s appropriate to honour people publicly and effusively. Likewise we should be prepared to honour others and thank them for their work, welcome, and contribution to our lives and ministry. Give cards or farewells gifts to people so they have something to remember you by. It demonstrates that we value people. Farewells. Make sure you say goodbye properly to everyone. Not just with one large party where you don’t have time for anybody, but with individual meals. Make sure you give people quality time. Try to finish your ministry responsibilities long before your departure so you have time for everyone – and for recovering from the emotions of saying so many goodbyes. Also say goodbye to buildings, places, pets that have been special to you, and belongings you will be leaving behind so that you are consciously severing any nostalgic links you have to places as you move on. And hold a ‘decommissioning’ service. Transition is easier to cope with when there is a ritual element to it, so leaving well should include a way of handing over well. Think Destination. In the busyness of saying goodbye, selling or giving away belongings and handing over ministry, it can be easy to forget the flip side of leaving – re-entry. Good preparation for re-entry can help ease the transition by resolving in advance all the issues about where you’re going to live, school your children, what support you will need as you transition and who will provide it. 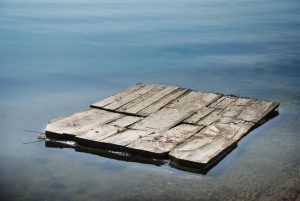 By building a sturdy RAFT, you will have more chance of surviving the perilous journey ahead!